My experience with Dr. Keshav was great. I really felt like she listened to me and cared about me as herpatient. I am very happy to have found her practice. My experience with Dr. Keshav was great. I really felt like she listened to me and cared about me as her patient. I am very happy to have found her practice. Very nice and efficient. Took a long time with me to explain everything and personalize my visit. I really appreciated this. **THIS OFFICE REQUIRES 24 HOURS NOTICE FOR ANY CANCELLATIONS. ** ***WE DO NOT TAKE AUTO ACCIDENT CASES*** Please note that, Dr. Keshav does not do Pain Management or Suboxone treatment at this location. Shylaja Keshav MD is a Board Cerified Physician, completed Family Medicine Residency at UPMC (University of Pittsburgh Medical Center) McKeesport, PA in 2001 with a "Best Resident of the Year" award. 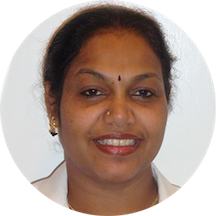 Shylaja Keshav MD earned a Bachelor of Science degree in Medicine and Surgery from Banglore Medical College, India. Dr. Keshav Sees patient, 7 years of age and older Shylaja Keshav MD received awards including America's top family physician from consumer research council and Physician recognition award. Please note that, Dr. Keshav does not do Pain Management or Suboxone treatment at this location. Shylaja enjoys gardening, movies and music. when i arrived i checked in they collected my co-pay and took me back right away. This is one of the things that i love about Dr. Keshav's office. She came right in and we reviewed my previous visit and issuesand then addressed my current issue. She takes her time with you. I feel like we have a good doctor/patient relationship. The communication flows well....i talk, she listens, she talks, i listen and together we work through my health care in an effective manner. She was very nice and she took her time and explained everything to me. She was pleasant and knowledgeable. I will be returning. It is always a pleasure to see Dr. Keshav! She takes her time with you, listens to you and provides her professional guidance. She is very Thorough. I have been a patient of Dr.Keshav for many years and she has been great. She is very patient, calm and pragmatic. I was impressed by Dr. Keshav. This was my first time in a very long time going to the doctors and I wanted to take control of my health. I'm looking forward to working with her to help get me on track. Had a far better experience with Dr. Keshav than I have had with any doctor in recent memory. We had to time to talk, and it was very patient centered. The office is clean and brightly decorated. I'm happy to have found her. She is always attentive and you leave very well informed . she cares about her patients and their well being . She also expresses the importancenof your health amd how to maintain it . She listens to your concerns and diagnosis accordingly . I absolutely adore my new pcp she was kind and understanding and make me aware of potential reasons for my illness. Excellent doctor. Had seen Dr. Keshav many years ago at a different location. Happy to have found her again. Minimal wait, relaxed environment, she addressed all my questions and concerns. Went in for my annual physical exam and went smoothly. Dr. Keshav was great, friendly, and knowledgeable. Very helpful and knowledgeable!! Great front desk staff! Dr, Keshav is always personable and respectful. She is thorough which causes delays but she never rushes through your appt. She was amazing I was recomended by Annela who used to work with her. I went in scared about the pain I was feeling and she did a full check up to make sure I was alright since this was myfirst time seeing her. Dr. Keshav is a sweetheart and addressed all of my concerns! I would recomend her to everyone. I had a lovely visit with Dr. Keshav today. She listened to my concerns and I never felt rushed. She's a well informed doctor and she will always address your health concern/s. Pleasant Visit, she is my PCP, always professional. Usually in and out within the hour. i normally don't have to wait to be seen but for a few minutes when i arrive. Dr. Keshav takes her time with you to make sure all areas are covered. her office environment is very calming and peaceful, i normallycan get an apt right away with her. she is very thorough. I love her as my doctor. Dr Keshav takes time to listen to your concerns, answers all questions you may have and i would highly recommend her. It was a pleasant experience. Wonderful, she is a very detailed doctor! Dr. Keshav was very thorough with me. She answered all of my complaints and explained exactly what I wanted to know about my health. Once again I would recommend my friends to visit her clinic. It's always a great visit whenever I go. Very friendly environment and people. Amazing! Her bedside manner is impeccable and she really cares about her patients! The visit went well. I have a follow-up appointment and definitely look forward to going back. I greatly appreciate Dr. Keshav. Before her, I had been from doctor to doctor for one reason or another and just stopped seeing doctors all together. With her, I have gained my trust back in doctors because I truly believe thatDr. Keshav cares and it isn't just about the money for her. She's very wise and straight to the point in giving you exactly what you need as a health care provider. Thank you Dr. Keshav! I love Dr. Keshav and her staff. I didn't have to wait long before I was seen and everyone that worked in the office was pleasant. I love that Dr. Keshav offers medical solutions as well as solutions that I can incorporate in my every day life. I thought it was good. I need more time to be able to rate how I feel about the care provided overall. Great Doc. She was friendly, thorough and efficient! It was a great relaxing and friendly environment. She was great, listened to my complaints and treated me accordingly definitely recommend her. I appreciate her direct attitude with a soft touch. very thorough and very efficient! Dr. Keshav always takes time to listen and meet each patients needs. Her staff are very professional. I would recommend her to anyone looking for a pcp. Dr Keshav and staff never fails, great service, very attentive. She was great, caring and made sure I left with everything I needed to get well. She's very patient. I didn't feel rushed at all. I asked a lot of questions and got thorough, thoughtful responses. I've been having back pain and she gave me hope that it will improve, which made my day! She also gaveme holistic, nutritional recommendations for treating my acne in addition to a RX. I plan to make her my PCP. Also, the facilities are clean and organized-which is a basic indicator of professionalism, but one that is lacking in some doctor's offices.They even play calming music in the waiting room. It is really pleasant and relaxing-almost like a spa. It seems cosmetic, but it makes a difference when you're coming in sick or in pain. She took her time to explain all my questions of concern. I have been looking for a PCP and I believe I've found one.